We especially want to express our heartfelt gratitude to the Holy Father for Laudato Si’, the historic encyclical on the environment that challenges all Catholics and people of good will to examine our conscience and ask: “What kind of world do we want to leave those who come after us, to children who are now growing up?” (Laudato Si’, #160). In Laudato Si’ Pope Francis shows the fundamental link betweensocial exclusion and environmental devastation, two major concerns of Maryknoll missioners today. Around the world Maryknoll Sisters, Lay Missioners, Affiliates, Fathers and Brothers witness the manifestations of climate change in the global south that are affecting the marginalized communities they serve: lack of food security, water availability, and changing weather patterns that most often threaten lives and livelihoods of people with the fewest economic resources and options. We are stirred by the breadth of vision in Laudato Si’: It is not only a doctrinal teaching that offers moral guidance to Catholics, but is a prophetic call to all people of good will to act decisively to save Earth and humanity--particularly marginalized communities-- who carry the greatest burden from climate change, and to whom we owe the greatest debt. It also identifies the critical concept of “integral ecology”: The struggles for justice for Earth and justice for impoverished people are not only connected, they are in fact the same struggle, a deeply spiritual challenge. As Christians, we acknowledge that this call to an ecological conversion will be challenging and at times painful. “Every effort to protect and improve our world entails profound changes in 'lifestyles, models of production and consumption, and the established structures of power which today govern societies.'" 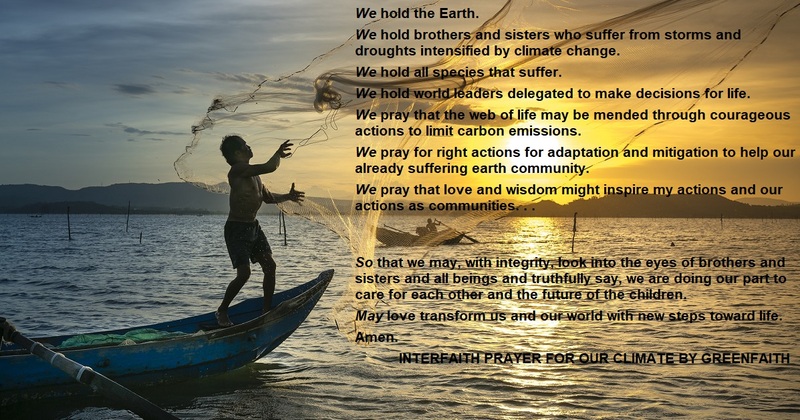 (Laudato Si', #5) Changing our consumerist lifestyles and developing new economic models will not be easy, but like the Holy Father we see many signs of hope around the world that we can overcome the globalization of indifference and the destruction of God's creation. Laudato Si’ is an appeal to dialogue, a call to action that empowers all of us. Maryknoll celebrates this significant teaching of Pope Francis and, with our communities around the world, we look forward to reflecting on the encyclical and embracing Pope Francis’ call to ecological conversion in the coming years.